Today I'm checking out Squatters Off Duty IPA brewed by the Utah Brewers Cooperative. 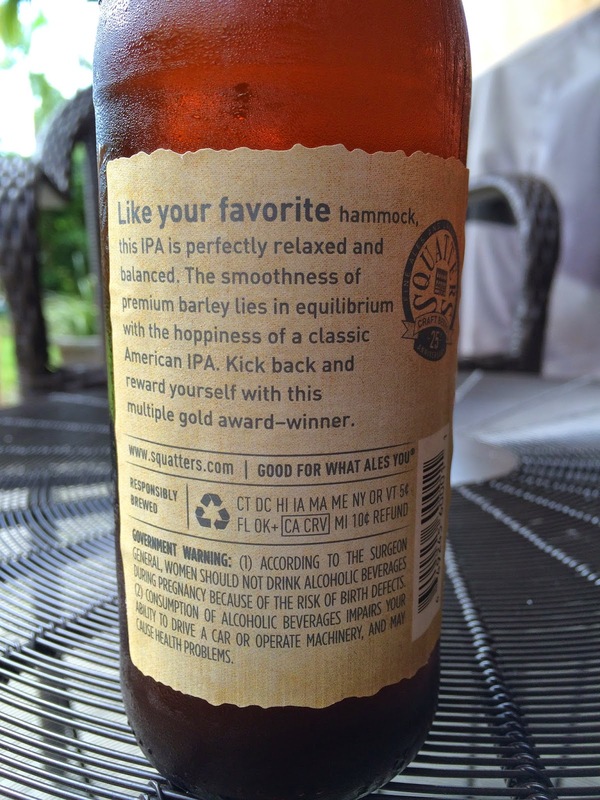 On the front label is a tranquil photo of a person chilling out in a hammock while drinking a bottle of beer. 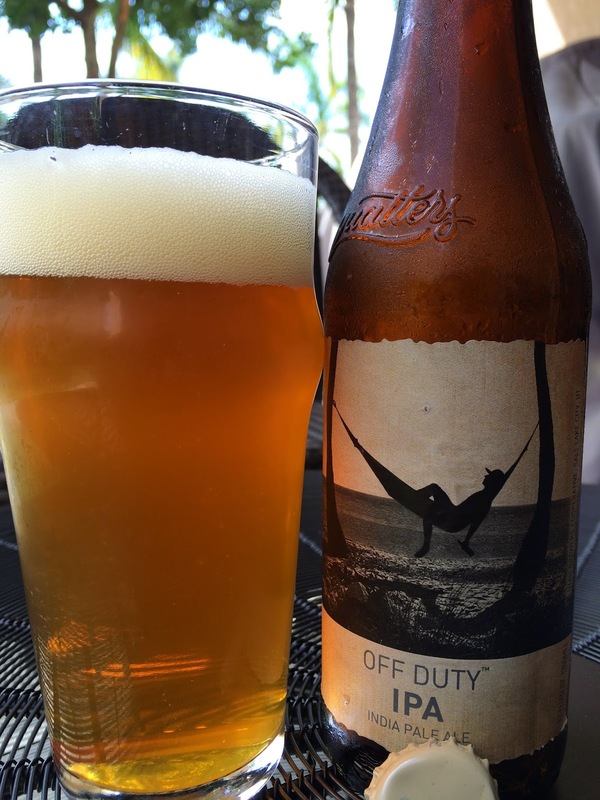 On the back of the bottle, it's explained that's because this beer is perfectly relaxed like that hammock. Well, I bought a really awesome hammock from some artisan on the streets of Villa de Leyva about 10 years ago. But my impatient wife couldn't wait until the trees in our yard matured enough to support it. So she sold it and that still pisses me off to this day! Anyway, this is a multiple GABF and multiple gold award-winning beer. 6.5% alcohol. Hoppy aroma full of nice orange (cuties) citrus with a fruity, tropical edge. Terrific flavors! Citrus, orange, light zestiness. Sweet tropical fruits show through more on the taste buds too with cantaloupe and mango standing out. Hints of spicy and piney hops shift the beer back to bitter. Off Duty IPA is sweet and bitter, not a boring middle. Nicely balanced and very tasty, two reasons I can easily understand it winning multiple medals.